As smartphones become more powerful and more consumers feel comfortable using them, there is an upward trend in technologies being developed to take advantage of this. The latest iterations of smartphones, including the iPhone 4S, come equipped with 8 megapixel cameras–powerful enough to take detailed pictures of wounds to send to doctors — a feature we wrote about before. Because of this, new business endeavors are springing up to tap into this growth industry. 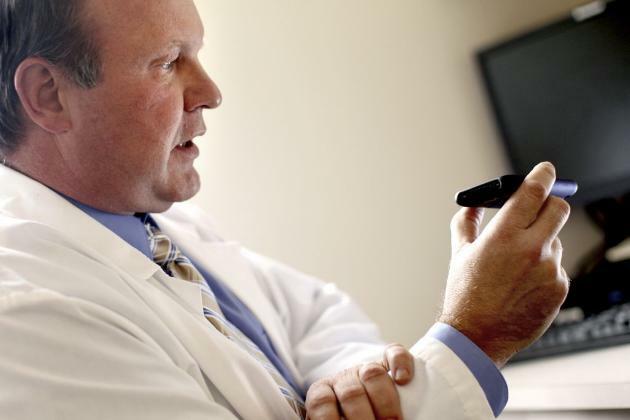 Dr. Douglas Smith is one such entrepreneur who is banking on the potential of telemedicine. Dr. Smith operates a solo family practice in Plymouth, and was a co-founder of MinuteClinic. MinuteClinics can be found in various CVS pharmacies, and provide non-critical, medical care for patients without the need for an appointment. In his latest entrepreneurial venture, Dr. Smith is an investor and chief medical officer of Consult A Doctor, a company that operates a nationwide network of 300 licensed, board-certified doctors who are available 24 hours a day to consult and write basic prescriptions for patients via phone, e-mail or videoconference. Consult A Doctor is based in Miami, Florida and has conducted more then 200,000 HIPAA compliant consultations over the past 6 years. The vision of Consult A Doctor is to significantly contribute to the transformation of healthcare delivery and access by making their convenient, cost-effective and safe care telehealth options the recognized solution for payers, providers, patients and the employers and groups they work with. It has a 93% customer satisfaction rating, according to the website. Interestingly, the company is getting ready to launch a couple additions to the Consult A Doctor lineup. The first is a telehealth platform aimed exclusively at helping hospitals and clinic workers get care. This service is not for the general public. Additionally, by July, Consult A Doctor expects to introduce My Practice 24/7, which will be marketed to private-practice physicians who want to set up a service exclusively for their own patients. Treating a patient you haven’t examined and don’t know is always a dicey proposition, with few exceptions such as dermatologic lesions. What people really need is quick and convenient access to their own doctor, and they system has failed to provide that. It seems like that is their longer term plan – but quite honestly it should be the only plan.